When this card is Normal Summoned, put 2 Spell Counters on it. 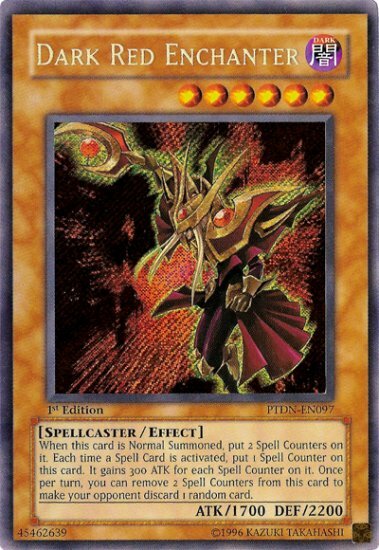 Each time a Spell Card is activated, put 1 Spell Counter on this card. It gains 300 ATK for each Spell Counter on it. Once per turn, you can remove 2 Spell Counters from this card to make your opponent discard 1 random card.